My Great Uncle – article in Toronto paper in 1917. Vimy Ridge located in France was a strategic high point the Allies wanted to capture to gain an advantage over the Germans. Attempts to capture it had been made on several occasions before without success. The Canadians had gained a name for themselves as tough, never say die soldiers, so they were called in to attempt to capture the objective. built tram-ways and plank roads to enable the movement of over 800 tons of ammunition, rations and equipment per day leading up to the battle. had 72 kilometres of pipe laid to supply 600,000 gallons of water per day for the horses. amassed 50,000 horses to move artillery pieces and shift supplies. constructed a full-scale mock-up of the ridge behind the lines so troops could rehearse movements. This the first time this was done. a series of underground caves and tunnels were constructed close to and under the ridge. The attack was planned for 5:30 am on the morning of April 9th. Several hours before all the men were given a hot meal and a tot of rum. The attack began on schedule at 5:30 am behind a creeping artillery barrage. The artillery barrage moved several yards each time and the infantry followed behind. This was a tactic that gave the soldiers some protection as it forced the Germans to keep their heads down and caused confusion in their ranks. The first wave went forward through the underground tunnels to catch the Germans by surprise. Some of these caves and tunnels were large enough to hold an entire battalion. Artillery bombardments had been on-going for several days ahead of the attack, this was to confuse the enemy and keep them guessing as to when the actual attack was coming. Within the first hour the 1st, 2nd and 3rd Divisions reached the first objective and by 8 am the final objective. The battle continued for two days with another two for mopping up. Victory was declared April 10th. The Canadians accomplished what no other troops had been able to. The cost was high with Canadians suffering 10,600 casualties including 3,598 killed. Over 4,000 Germans were captured during the battle. This battle is personal for me because members of my family took part. As a genealogical researcher I spent a lot of time looking into our military history. I discovered connections to Vimy Ridge and other battles of World War I. My grandfather on mother’s side served in the Canadian Army Service Corps (CASC) and was at Vimy Ridge. He survived and came home. Interestingly he enlisted as Herbert Strain, his biological father’s first name and his stepfather’s last name. 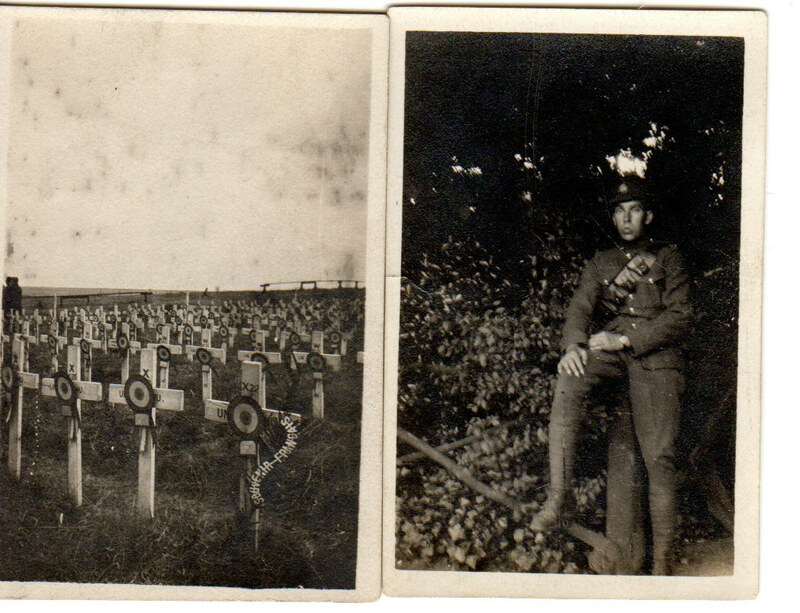 Grandmother’s big brother who unfortunately was killed at Vimy. He was only 20 years of age and left behind a wife and children back home. The newspaper article at top is a document I found during my research. Date of his death was actually April 13, 1917, but reporter didn’t have a lot of information at that time. Very sad reading and this is just one example of thousands. He is commemorated at the Vimy Memorial in France, but is one of thousands whose body was never found. Vimy Ridge was just an entry in the history books to me, but that history came alive when I discovered my ancestors contributed to Canada’s war effort. This coming April 9th I will be proudly thinking about their sacrifice one hundred years ago. Grandfather Davis possible originator of the saying. When I was a kid my Dad would always be telling us to, “Go outside and blow the stink off”. Every family has it sayings I guess. That was one of my father’s favorites. I tried for years to find out what the hell it meant, and second where in God’s name he ever came up with it. He’d always say it to us kids. I think he’d use it whenever he got tired of us being in the house. It didn’t matter that there was a monsoon rain or the blizzard of the century happening outside, Dad’d direct that at us and then he’d get up and walk away. He never said it to our Mom, or anyone else only us kids. As kids we actually got the part about going outside, but the “blow the stink off” part? Well I knew I didn’t smell because I showered that morning. I also knew I hadn’t farted, at least most of the time that wasn’t my transgression. Hell if it was the farts he did more of that than we did. Why didn’t he go outside and blow the stink off? Now after many years I find myself using on my kids. I still don’t know what it means. I did find out where he picked it up. Turns out his father used it on him and his four brothers. Guess what? None of them ever knew exactly what it meant either. The best interpretation I’ve ever have been able to come up with is this. Go outside meant to leave the house and go play outside where you wouldn’t be bothering him. My interpretation of the “blow the stink off” is to get some fresh air. It’s a hell of a weird way to say it, but that’s the only way I can put a meaning to that phrase. Where it came from originally I’m afraid is lost in the mists of time and family roots. I am writing this letter as a Remembrance Day tribute to you and all the others that served our country so unselfishly. Unfortunately I wasn’t able to talk to you about your experiences in the Great War of 1914-1918. I was too young and not very knowledgeable about such things at the time. I certainly did not appreciate your sacrifice, nor did I have any concept of the conditions in France where you served. I am now in my early sixties with children and grandchildren of my own. I have researched my family roots including the military side of it. Through my research and readings on your military experience I have come to have a deep connection with your experiences. My only regret is that I can’t speak with you directly about this period of your life. This letter is my attempt to do that in a public way. I discovered you enlisted in the 3rd Division of the Canadian Expeditionary Force (CEF) in 1915 to go overseas. You were assigned to the Canadian Army Service Corps within this division. There you drove munitions trucks from the rear areas to the front lines under heavy enemy fire. Now I realize why you were such an excellent driver. Even though these trips were made under cover of darkness, the enemy could hear the sounds of the truck engines and rained heavy artillery fire down on the roads approaching the frontline trenches. Many of your fellow drivers were killed instantly when shells ignited the explosives in the trucks. The stress of driving under these conditions must have been unbearable. When I compare your military record with the timeline of battles fought in the Flanders area of France during the time you were serving, it is obvious you experienced most of the brutal encounters of that time. It is fortunate you survived and returned to us here in Canada, so many of your friends and fellow soldiers did not. Grandpa I value greatly this historical connection you gave our family. We treasure it with tremendous pride. Frankly I and others of my generation wonder how you did it. Your country and King called and you gladly gave up years of your life to serve under dangerous and dreadful conditions. It’s shocking and sad to realize how young the soldiers were that went to war. I can only imagine what it was really like, but at least now I have a true appreciation for your experience. Bless you and all the others for your service to our country. We will never forget. George could feel the ship gently rock as he lay in his berth. He was lonely and scared. Just a few months ago his father put him into the care of the home and then just left. Even though his father was drunk a lot and spent little time with George or his sisters, George still missed him. When George’s mother died, his father started to spend more and more time away from them and when he did return he was usually drunk. That was his family, such as it was, but he still missed them. So now here he was at age twelve in June 1900, on his own crossing the vast Atlantic Ocean in a ship for a new home in Canada. Granted there were other children with him. They were traveling as an escorted group. He had been told that he would be going to a farm in a place called Dumfries, New Brunswick. There he was to work on a farm. He was a city boy and didn’t know anything about farming, although he was sure he would soon learn. Hopefully the farmer would treat him alright. The group consisted of ninety-four children including himself, and two adult escorts. The adults tolerated no tomfoolery and enforced discipline strictly. They had no sense of fun or humor at all. George was not enjoying his journey at all. Back home in West Bromwich he knew the routine, here he was lost and confused most of the time. The fear of the unknown ate away at him. He was trying to think good thoughts about his future. It had to be better than his life in dirty, sooty West Bromwich among all the smelters and coal mines. At least that’s what he told himself. There was a reason his home in England was referred to as the “Black County”. The adults told them that the air was clean in Canada and everything was green, except for the winter when it was cold and white, covered with snow. The ship S.S. Siberian of the Allan Lines left Liverpool on June 7, 1900 and was scheduled to dock at Halifax, Nova Scotia June 18, 1900 with a short stop in St. John’s, Newfoundland along the way. George had been taken to Middlemore Homes by his father when he found that he couldn’t look after him or his sisters any longer. He was separated from his sisters. His older step-sisters, Edith and Mabel Harvey, had been taken in by another family. Sara (Sadie), his youngest sister, had been sent to another place to become a domestic. He was sure he would never see them again and tears welled in his eyes thinking of them. Perhaps someday he could return and find them again. They had shown him his birth certificate where his parents were listed as Alfred Davis, father and Tryphena Harvey, mother. The names meant little to him, but he had called them father and mother with much affection. His mother had been a gentle soul and his father a gruff man with no tolerance for boyish games or misbehavior from his children. His mother had been more patient with time for all. She was not a hardy woman though and seemed sickly most of the time. Tryphena had died from an infection as a result of a miscarriage, whatever that meant. George didn’t understand that, only the sober fact his mother was never coming back. 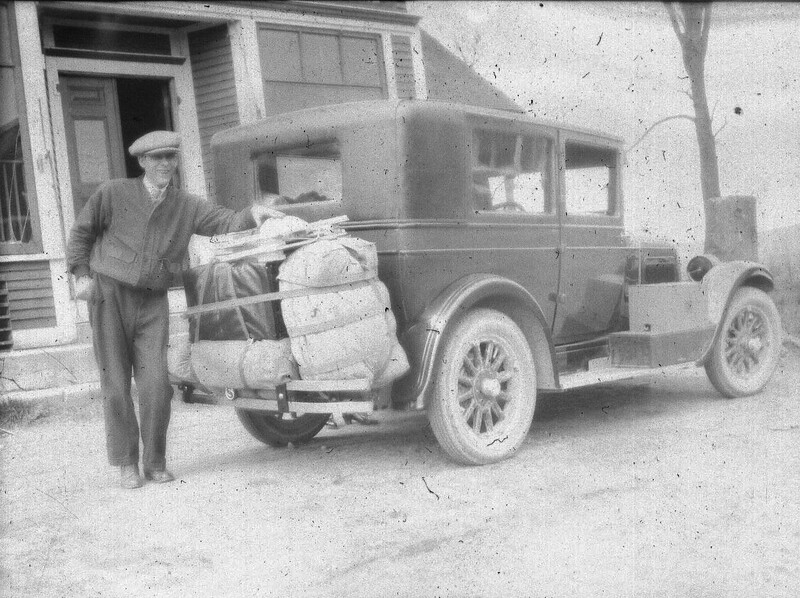 The Presbyterian Church in New Brunswick received a request for a farm laborer from a James F. Miller of Dumfries, New Brunswick. They in turn forwarded the request to Middlemore Homes in Birmingham. George was a tall and stocky boy for his age. He was selected for his physical prowess and sent as the requested laborer. So here he was anxiously awaiting his fate, but hopeful and confident that things would get better. Author’s Note: This is an extract from what I hope will eventually be a book. I have written this using the “creative nonfiction” approach to add reader interest. As I outlined in my previous posting “Home Children”, this is a factual account with historical background woven in. Dates, places and names are fully researched. Between 1869 and 1930 several thousands of young boys and girls immigrated to Canada from Great Britain. These children were known as “home children”, “orphan immigrants, or “young immigrants”. They were from homes in England, usually run by charitable organizations or churches, that took them in when parents died or could no longer look after them. Churches in Canada handled requests for children to work on farms or as domestics in homes across Canada. Some of the well known homes were Barnardo’s, Middlemore, and Rye. My grandfather on Dad’s side, George Alfred Davis, was one of these home children. His mother had died and his father couldn’t look after him so he was consigned to Middlemore Homes. From there he was sent to work on a farm in Dumfries, New Brunswick in June 1900. This area is located in the St. John River valley and is known locally as “The Barony”. I have already done the genealogical research and written a short family history on my Dad’s family, now using this research data plus historical background I want to try a different approach to telling his story. One of my writing projects is to tell his story in a more entertaining way. To accomplish this I intend to use a writing technique called “creative nonfiction”. What is that you say? “Creative nonfiction” writing blends historical facts with interpretation to tell a true story. Educated assumptions are woven throughout to better detail the conditions of the time. For example, I know what ship he came to Canada in, so using research I am able to reconstruct what the conditions on board ship would have been like. Even though I don’t have his actual thoughts and writings, I can still relate in story form what his experiences would have been like. The result is almost like a novel, except of course it is supported with facts and historical background research. The result is a true story that reads in an entertaining way. I will be posting extracts from it here in the near future. Watch for it. My intent is to publish it in book form eventually.